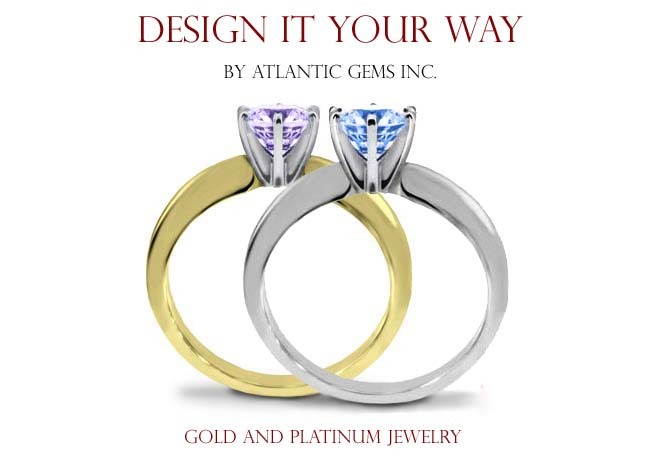 Atlantic Gems carries a complete line of 14K Gold jewelry in both white and yellow. Similarly, Platinum jewelry is fully available. From chains to bracelets to rings, all items are available in both standard and customizable forms. Please look below or inquire directly via email or phone.